Service of process is a legal procedure whereby a party to a lawsuit provides proper notice of a legal action involving another party (usually the defendant). One gives notice of a Boston personal injury lawsuit by delivering a set of court documents to the person who is being served. If a settlement can’t be reached with defendants, the case will be filed in the Suffolk Superior Court in in Boston’s Government Center area. The court will then issue a service packet, complete with a signed and stamped summons. Multiple copies will be provided if there are numerous defendants. Each defendant must then be served with the packet, including copies of the summons and complaint. If a defendant is not properly served within 90 days, per state rules, the defendant can move to dismiss for lack of service. Take for example the 2012 ruling by the U.S. Court of Appeals for the 1st Circuit, wherein the appeals court affirmed the dismissal of a Massachusetts medical malpractice/ wrongful death claim, which came a full year after the complaint was originally filed against defendant physicians. Although plaintiff had sought two 90-day extensions one top of the original, (complications arose, as one defendant was out of the country), the court found the delay was inexcusable. The case was pending in Essex County Superior Court, while service was governed by Massachusetts Rule of Civil Procedure 4(j), requiring that such process be completed in 90 days. Justices ruled that while federal rules offer no specific time limit on service of process outside the U.S., case law has established reportedly that the amount of time for foreign service is not unlimited. 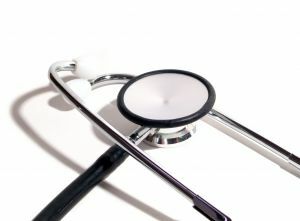 As our Boston medical malpractice lawyers can explain, some defendants will try to avoid service. If this happens, the plaintiff can go to the trial court and petition for alternate means of service. In some cases, this will involve mailing a complaint and summons and in cases, where reasonable efforts have been taken to find the defendant, it can involve publishing notice of the action in a newspaper of general circulation that is recognized by the court. In some cases, there can be a waiver of service, where the insurance company lawyer agrees to accept service of process on their client’s behalf, but this is not always agreed to. It is somewhat sad since dodging service is only delaying the inevitable in many cases, but this notwithstanding, it does happen occasionally. Massachusetts of course isn’t the only state that outlines these rules. Edokpolor v. Grady Memorial Hospital Corp. In Edokpolor v. Grady Memorial Hospital Corp., a case from the Georgia Supreme Court, plaintiffs filed a wrongful death action on behalf of their deceased loved one. The case was filed against the hospital. There were issues involving service of process, and defendant would not agree to waive formal service of process. When a plaintiff is is making a diligent effort to serve a defendant and the defendant is attempting to dodge service, courts do not generally look favorable on these efforts by the defendant. That is the case in Boston as well as the jurisdiction in which this case was tried. The judge went so far as to sanction the defendant for dodging service and those sanctions included making defendant pay the costs, including attorney’s fees and other expenses, spent at part of the attempts to effectuate service upon the defendant. While this is rare, it is not unheard of, but things took a turn for the more complex, when defendant filed a motion for summary judgement. Had the case been filed in Boston, the motion for summary judgement would be made pursuant to Rule 56 of the Massachusetts Rules of Civil Procedure (MRCP). A motion for summary judgement essentially says that that even if the all of the allegations made by the opposing party are taken as true, there is still no way a reasonable jury could find in favor of that party. The way this works has to do with the job of a jury. A jury is supposed to decide if facts are true and a judge is supposed to decide how the relevant law applied to those facts. If there is no dispute about the facts, and it is only a matter of law, a judge can make this ruling without the need for a jury. There are often cross motions for summary judgment filed by each party. In this case, the judge granted defendant’s motion for summary judgement and dismissed that case. What the judge did not do was excuse the defendant from having to pay the sanction for failing to formally waive the service of process. This award of sanctions was reserved, meaning it was still technically outstanding once the rest of the case was dismissed. A few months following the dismissal, plaintiffs moved for reconsideration of the dismissal. The court denied this request and argued that the case had already been closed for more than 30 days which was the time to appeal. At this point, plaintiff appealed Supreme Court of Georgia, and the appellate court held that the case was still open since the fees had not been paid and the matter was still being taken under reservation. The defendant tried to argue that the sanctions issue was merely an ancillary matter, but the court disagreed and reversed and remanded the case so that the appeal could be taken on the issue of dismissal by summary judgement. One thing to keep in mind is that formal service of process is generally only needed for the initial complaint. Once service has been effectuated and the case has commenced, service of pleadings for which a response in not legally required such as motions can made to the attorney of record in most cases. Even though a response is not legally required for motions, it would still be a good to file an opposition when appropriate, but the test in the Massachusetts Rules of Civil Procedure is whether a response is required. If no response is made, a judge may consider the motion to be ceded by the party who does not respond. This is not a situation in which you want to find yourself.